WHAT IT IS: Silky-smooth hand & body lotion blended with citrus and grape seed oils and black tea extract for younger-looking, more radiant skin. 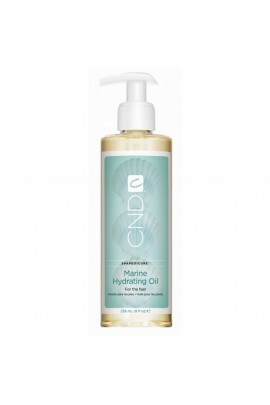 WHAT IT DOES: • Replenishes skin's natural oil. 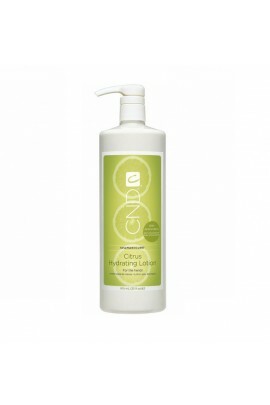 • Locks moisture into skin. 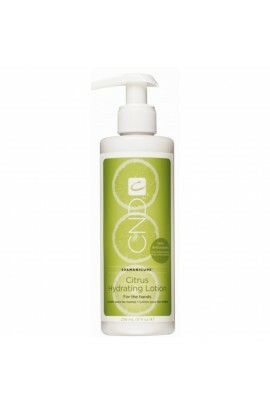 • Helps..
WHAT IT IS: Silky-smooth hand & body lotion blended with citrus and grape seed oils and black tea extract for younger-looking, more radiant skin. 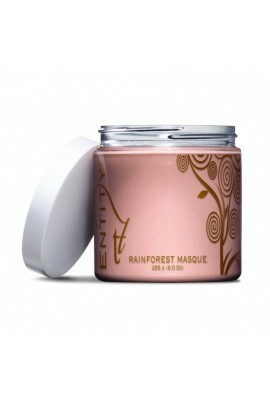 WHAT IT DOES: • Replenishes skin's natural oil. 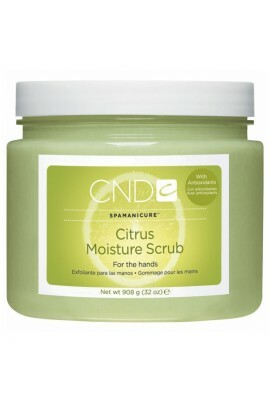 • Locks moisture into..
WHAT IT IS: Luxuriant treatment of citric acid, grape seed oil, fine salts and refined sugar cane that gently polishes and deep-conditions hands. WHAT IT DOES: • Physically exfoliates dead skin cells with finely milled salts, suga..
WHAT IT IS: Luxuriant treatment of citric acid, grape seed oil, fine salts and refined sugar cane that gently polishes and deep-conditions hands. WHAT IT DOES: • Physically exfoliates dead skin cells with finely milled salts, sugar cane a..
A nourishing warm-oil hand soak that transforms into a milky moisture bath for nails and surrounding skin. 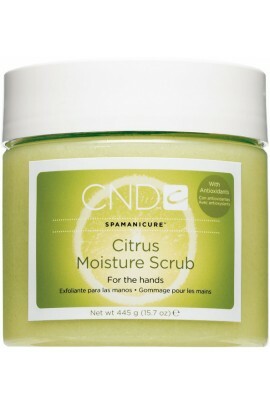 ..
CND Citrus Moisture Scrub is a hand scrub using fine milled salts, sugar cane, jojoba soft beads, and citric acid. 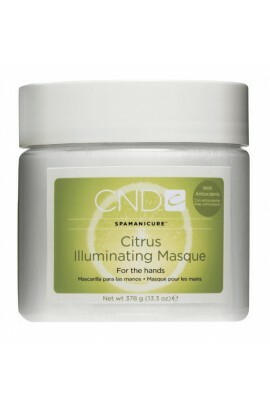 The combination of these ingredients will help deeply condition and soften your skin. 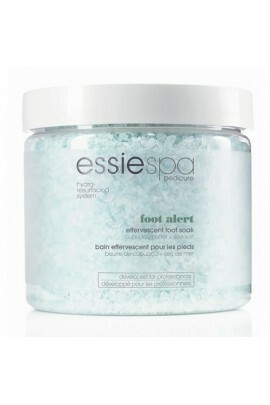 ..
A calming, effervescent mineral soak for cleansing and deodorizing feet. 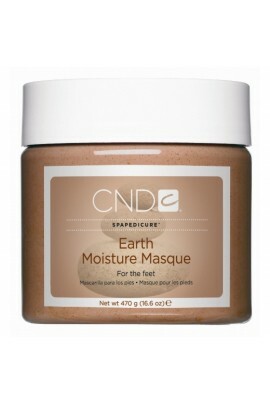 Helps guard skin against environmental stress ..
WHAT IT IS: Protective, volcanic clay foot masque fortified with hydrating vitamins and minerals to deep-condition skin. WHAT IT DOES: • Delivers vitamins, minerals and moisturizing agents deep into the skin via volcanic clay. 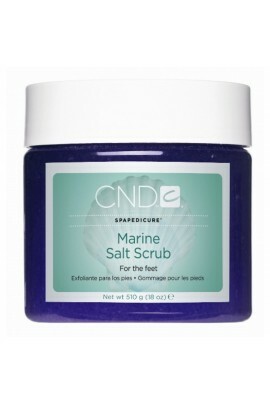 &..
WHAT IT IS: Uplifting sea-salt scrub gently polishes and refines skin to a healthy glow. 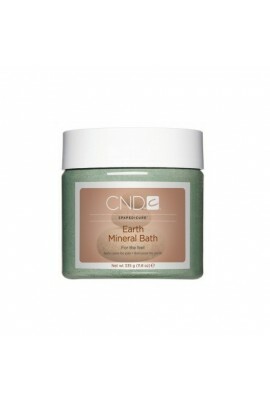 WHAT IT DOES: • Physically exfoliates with minerals and sea salts. • Softens and conditions skin with sunflower oil. WHY YOU NEED IT: • Lea..
WHAT IT IS: Light, fragrant, hydrating oil that provides a perfect balance of glide and grip. WHAT IT DOES: Perfectly lubricates skin for an effective massage. WHY YOU NEED IT: • Leaves skin moisturized and glowing. 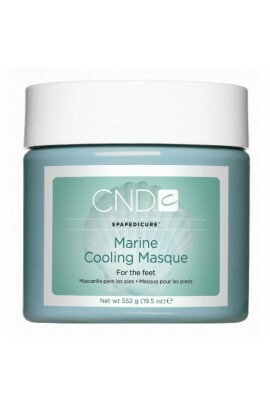 • Provides the ar..
A cooling foot masque with hydrating sea extracts, conditioning mineral clay and soothing botanicals for soft, exhilarated feet. Tested and approved for use in whirlpool tubs. 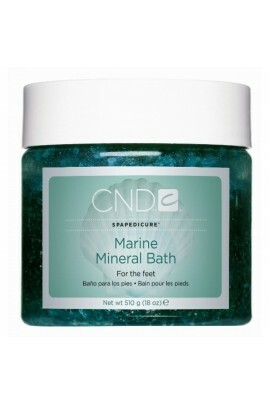 Marine Intro Kit Includes: Marine Mine..
WHAT IT IS: Stimulating, cleansing mineral foot bath that reduces inflammation as it deodorizes and softens feet. WHAT IT DOES: • Cleanses and deodorizes feet. 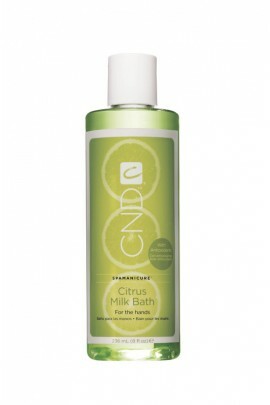 • Hydrates and softens skin. • Reduces inflammation WHY YOU NEED IT: ..
WHAT IT IS: Light, fragrant, hydrating oil that provides a perfect balance of glide and grip. WHAT IT DOES: Perfectly lubricates skin for an effective massage. WHY YOU NEED IT: • Leaves skin moisturized and glowing. • Provides t..
Renews the skin. Cooling and refreshing, this one-of-a-kind formula is rich in White BeeswaxKaolin Clay is known to help remove toxins and impurities from the skin while retaining the natural oils. The tropical healing power of Tamanu Oil soot.. 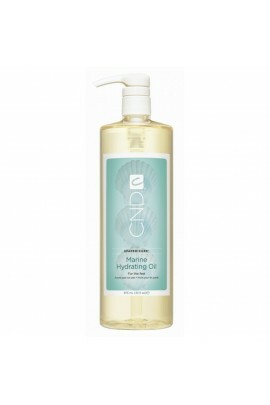 Formulated with a blend of sea salts and cupuacu butter. 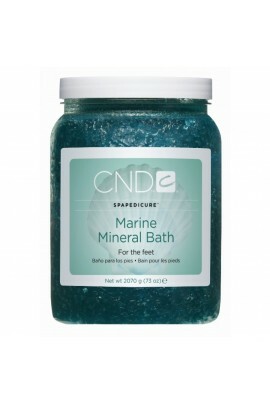 This stimulating bath cleanses, softens and invigorates the skin. Leaves feet feeling refreshed. .. 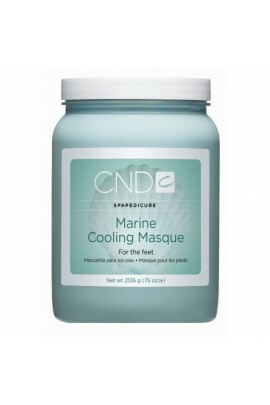 Specially formulated with kaolin clay and multi-fruit acids. 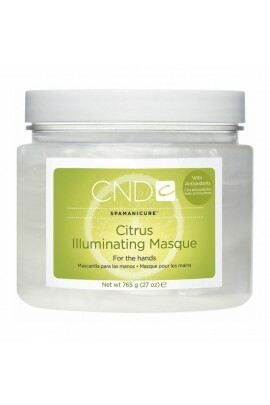 This masque helps revitalize and refresh as it gently removes impurities from the skin. ..
GiGi Gentle Bleaching Cream is a safe and easy-to-use bleaching cream for face, arm and leg hair that is a convenient alternative to traditional hair removal. Contains: Bleaching Cream - 1.5oz / 42g Cream Activator - 1oz ..